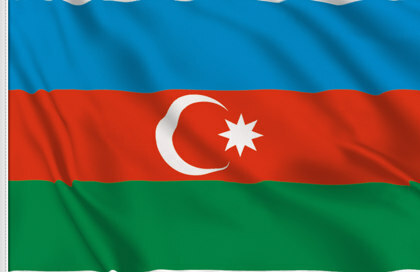 Buy the Azerbaigian table flag. 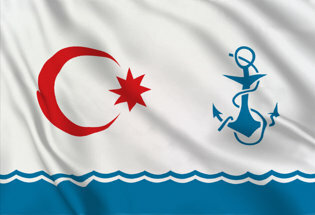 The Azerbaijani table flags are ideal to be placed on the desk, to remember a trip or to welcome someone who visits us coming from Azerbaigian. 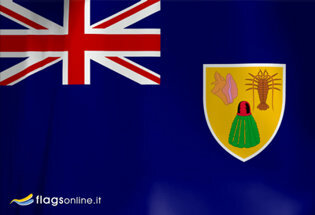 The Deskotp flag of Azerbaigian is sold individually without a stand. Stands can be purchased separately. 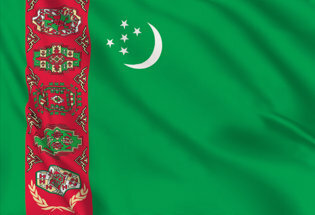 Star, crescent, and green color are the traditional symbols of Islam. 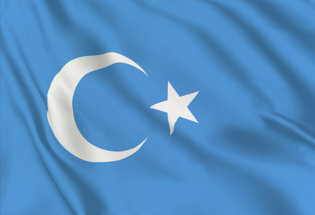 Eight peaks of the star denote eight Turkic groups inhabiting Azerbaijan and the crescent was borrowed from the Turkish flag. 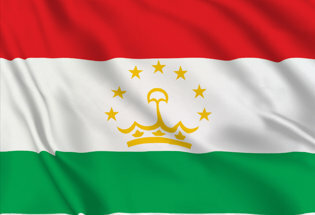 Blue stripe represents the unity of Turkic people in Azerbaigian, red is a symbol of struggle for freedom, and the green stripe refers to the Muslim religion.